Graccioza's Alice bath towels are soft, plush and durable thanks to their zero-twist cotton yarns. These 680-gram towels are finished with bias binding. Coordinates perfectly with Alice bath rug. 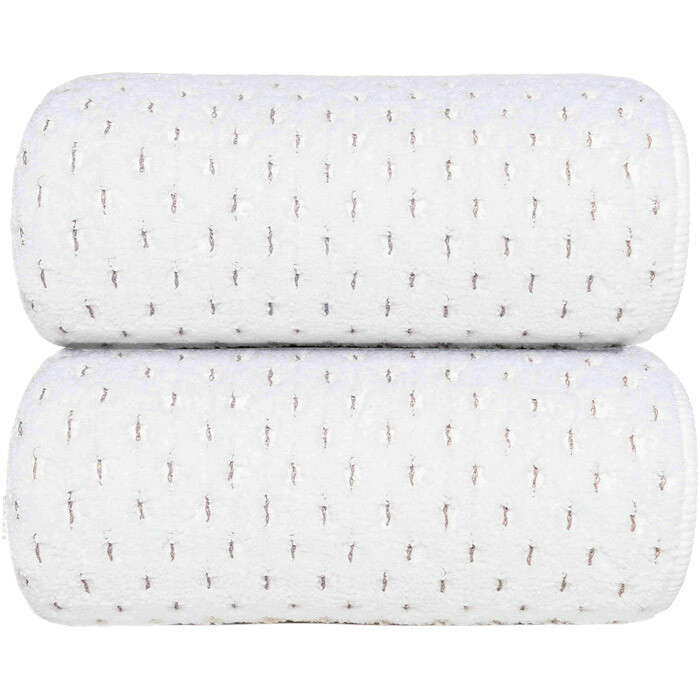 Graccioza's Alice bath towels are soft, plush and durable thanks to their zero-twist cotton yarns. These 680-gram towels are finished with bias binding. Coordinates perfectly with Alice bath rug. 100% cotton 680 grams per square meter Bias binding Zero-twist 1 colorway Made in Portugal Machine wash. See product label for exact instructions.